Help Clawdette the hermit crab trade up to a better home. Stay calm through the dark woods after a long day. Help Max the Sax make his way in the cutthroat world of underground jazz. It's cute, I appreciate the crab movement and the jokes and puns! 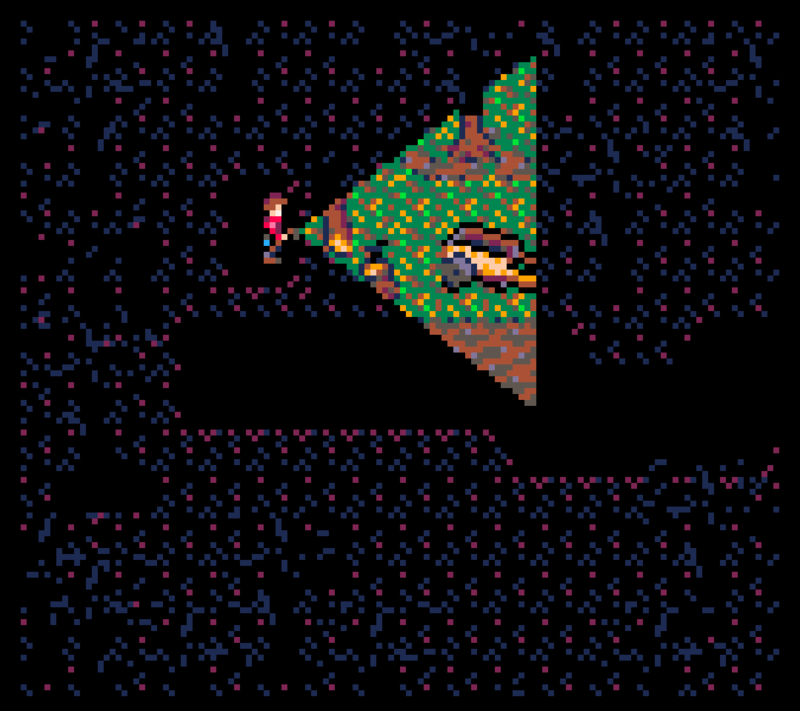 Just in time for Halloween, I finished my top-down pixel art survival horror game made in PICO-8, The Harvest. Play as a farmer trying to get home after staying out too late. Be careful of what might be moving in the darkness just beyond the edge of your flashlight... Can you make it home with your sanity intact? Made in PICO-8, there were plenty of limitations on the size of the art and the game, but that's probably what let me complete it and release it! I'm happy with how the look and feel and atmosphere of the game came out, and I hope you enjoy it too! Play in the browser, download the game, or check out the source code of the The Harvest here. I also just joined itch.io as a developer, so I'm really excited to be a part of the community!